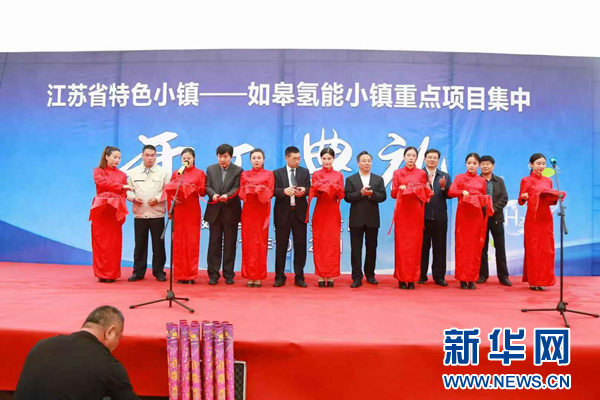 The key projects of Rugao's hydrogen energy town broke ground on Oct 22, launching the construction of the world famous hydrogen energy industry cluster zone. Five major projects with total investment of 10 billion yuan ($ 1.45 billion) are put into construction, including supporting facilities of hydrogen energy industrial park, national hydrogen fuel cell vehicle R & D and testing center, fuel cell air compressor and hydrogen energy back-up power. In July this year, Rugao's hydrogen energy town was approved to be the second batch of special towns of Jiangsu province. 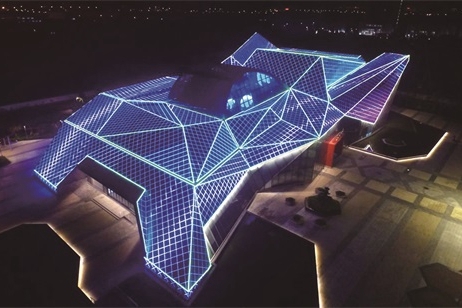 It covers an area of 3.7 square kilometers with total investment of 7.85 billion yuan, orientating to develop hydrogen-related industries such as hydrogen production and storage, hydrogen cell, hydrogen fuel cell vehicle and so on. With total investment of 500 million yuan, the first phase of hydrogen energy industrial park covers an area of 10 hectares and total floor area 130,000 square meters, providing services of research and development, incubation and production authentication for the settled enterprises. It aims to build a domestically leading and world-class modern standard hydrogen energy industrial park for hydrogen production and storage, research and production of hydrogen fuel Cell and development and manufacture of hydrogen fuel cell vehicle in order to form a complete hydrogen energy industry chain. With an investment of 450 million yuan, Jiangsu Jintongling hydrogen energy machinery technology Co Ltd settled down in Rugao hydrogen energy industrial park, building research and manufacture base of fuel cell air compressor and hydrogen energy standby power supply. Shanghai Han hydrogen Power Technology Co Ltd founded by Liu Yanjie, senior expert in space power field also runs its business in the industrial park where Liu led his team in developing hydrogen storage system products that greatly reduce the cost of hydrogen storage and supply system. With an investment of 300 million yuan, the national hydrogen fuel cell vehicle research and testing center adopts the pattern of government supervision, entrusted operation and crowdfunding and sharing, engaging in hydrogen fuel cell vehicle testing, certification and standard services, committed to building a nationally renowned brand of hydrogen vehicle testing and certification.